Available in a range of body styles, including as a three and five-door hatch and an estate model, the SEAT Leon combines sleek styling, an agile and responsive driving experience and day-to-day practicality. 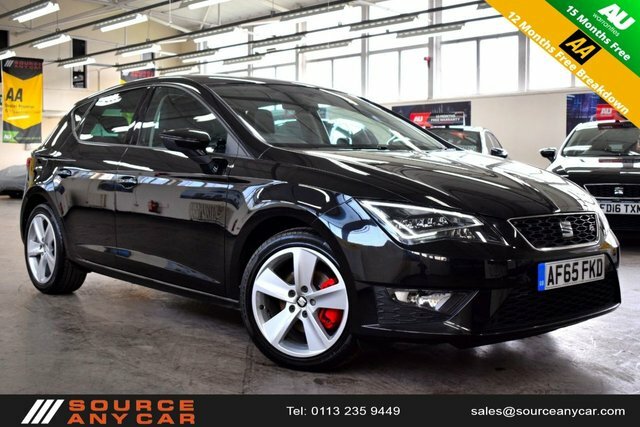 If you're ready to test drive one of the used SEAT Leon models for sale in Leeds then be sure to contact a member of the team at Source Any Car Ltd today. We'll do everything possible to get you a great deal on your next used car and ensure you find the right model to fit your lifestyle and budget. Feel free to contact one of our showroom team to discuss your options in more detail. Finance is available to UK residents aged 18 years or older, subject to status. Terms & Conditions apply. Indemnities may be required. Other finance offers may be available but cannot be used in conjunction with this offer. We work with a number of carefully selected credit providers who may be able to offer you finance for your purchase, commission may be received. We are only able to offer finance products from these providers. Postal Address: Source Any Car Ltd, The Old Sorting Office, Torre Road, Leeds, West Yorkshire LS9 7QL. Find contact details here.